Fill the holes in your game! 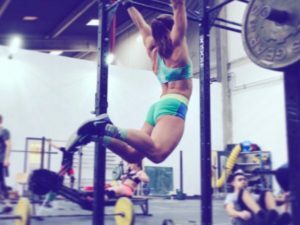 You ask anyone at any level of experience in CrossFit where the holes in their game are and you will always hear “gymnastics” at the top of the list. Not even the best of the best are immune! This program is specifically designed to build your gymnastics foundation by training like an actual gymnast. These are not your average Gymnastics WODs. With this program design, you will not only have the tools to maximize your potential in your daily CrossFit WOD, but you will also learn drills and progressions for other gymnastics skills not found in typical CrossFit Workouts. With Crouching Black Tiger, you will learn how to move your body in ways you never thought you could! We will test your strengths and weaknesses within the gymnastics spectrum and focus on your movement/rep management within a workout to maximize your efficiency in performing the movements. Max efficiency results in max performance! CrossFitters ready to train the weaknesses in their gymnastics game but don’t want to lose out on the benefits of a daily CrossFit workout. Program Price $40 per month, billed monthly-cancel any time. If you are interested in ANNUAL or GROUP pricing, contact us. TO PURCHASE, CONNECT WITH FACEBOOK BELOW AND THEN COMPLETE YOUR TRANSACTION.